Egg sandwich is simply an easy and appetising dish. Serve it with custard for a perfect breakfast. Slightly heat up oil in a saucepan and fry turning both sides at 2 mins intervals. 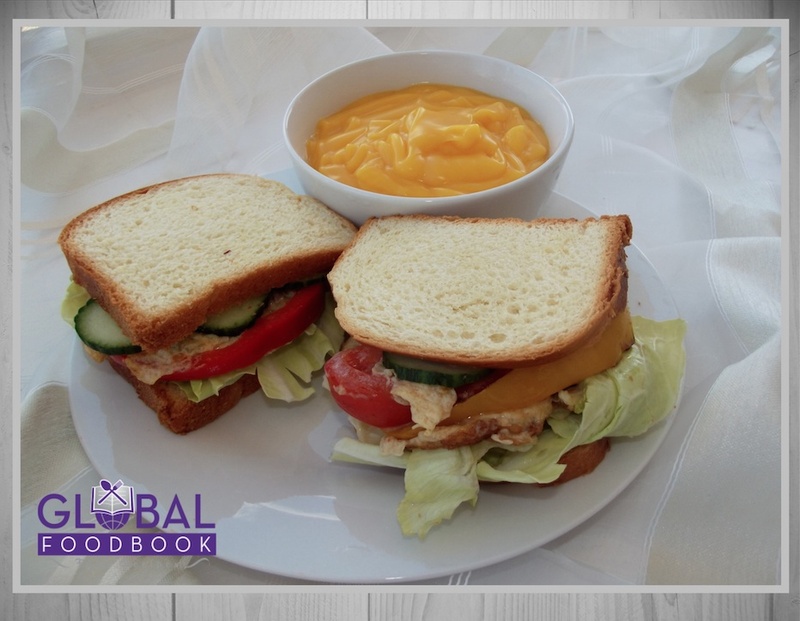 Place bread flat on a plate and arrange cucumber, lettuce and any other vegetables of choice in layers over each other. Cover the layers with a second bread and cut into halves. Dissolve custard with cold water and afterwards pour in boiling water to thicken.